We are an independently owned two generation family business specialising in residential leasing and management. 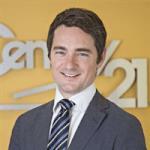 Partnering with Century 21, a globally recognised brand, gives confidence we are your local experts. as well as being networked through our database of clients and window display.